I am following Lotta Helleberg's blog inleaf. 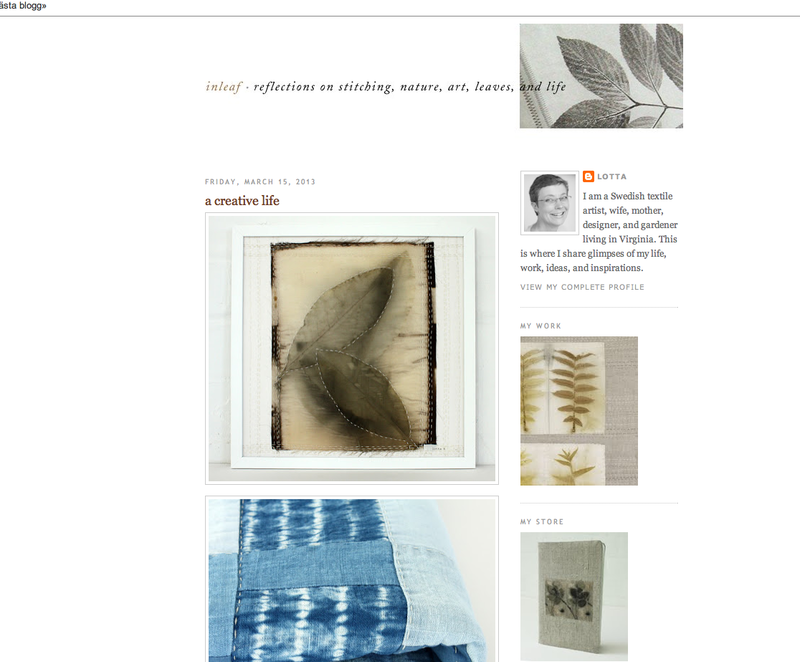 She is a Swedish textile artist living in Virginia. Lotta is creating fantastic natural dying textiles.